Every January, we make the same New Year’s resolution: I’m going to lose weight this year. For us well-fed Americans, that’s the most popular resolution. Unfortunately, most of us won’t succeed. On Saturday, Jan. 14, your local Walmart and Sam’s Club locations will try to help out. They’re offering free health screenings at more than 5,200 stores across the country. Walmart Stores Inc., the parent company of Walmart and Sam’s Club, says this is its largest free health screening event ever. The goal is to help hundreds of thousands of Americans learn vital information about themselves that will help them keep their health on track. “Knowing your numbers is critical to achieving your healthy resolutions and to maintaining a healthy lifestyle,” said George Riedl, president of Walmart Health & Wellness. When and Where Can I Get a Free Health Screening? Walmart: Walmart Wellness Day takes place from 10 a.m. to 2 p.m. local time on Saturday, Jan. 14, at more than 4,600 stores. Free screenings include blood glucose, blood pressure, vision and — for the first time — body fat and body mass index. 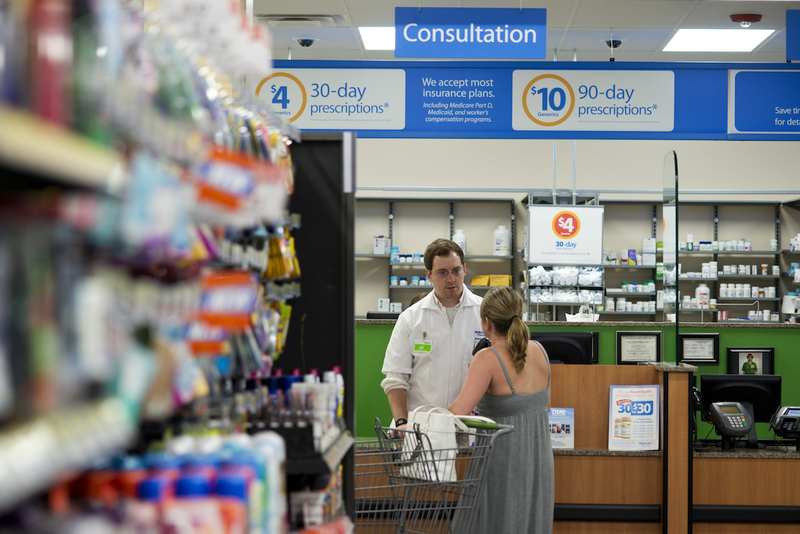 More than 10,000 pharmacists will offer immunizations in select stores. Sam’s Club: Free screenings are open to the public, not just members. Screenings will be held from 11 a.m. to 4 p.m. local time at nearly 620 Sam’s Club locations. Screenings include blood glucose, blood pressure, vision, hearing, body fat, total cholesterol and HDL (good cholesterol). Again, pharmacists will be on hand to offer immunizations. Why Get a Health Screening? There’s a reason so many of us resolve to lose weight every Jan. 1. More than one-third of Americans are classified as obese, according to the U.S. Centers for Disease Control and Prevention, making body fat and body mass index among the most important health numbers to understand. Obesity can lead to heart disease, stroke, diabetes and certain types of cancer — some of the leading causes of preventable death. Physicians advise that getting a basic screening is the first step toward learning how healthy you are and how much healthier you need to get. Walmart and Sam’s Club say that in 2016, they provided nearly a half million free health screenings to people across the country. Sam’s Club offers free health screenings the second Saturday of every month from January to October. Your Turn: How have you resolved to get healthier in 2017? Mike Brassfield ([email protected]) is a senior writer at The Penny Hoarder. He’s going to lose some weight this year.